IMSA has adjusted the Balance of Performance parameters for the GTLM class ahead of this weekend’s BUBBA Burger Sports Car Grand Prix in Long Beach. 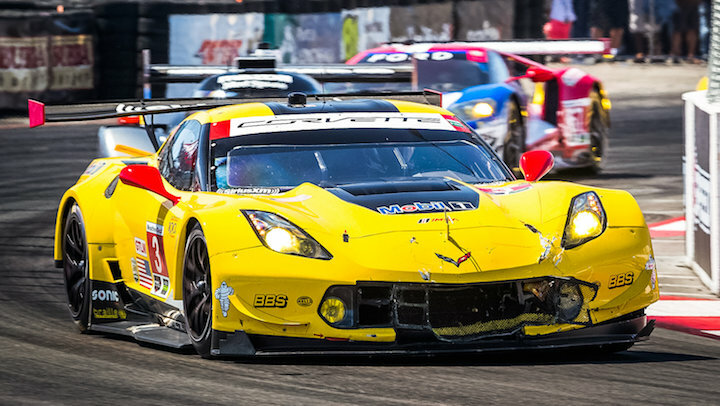 Corvette Racing fans will be happy to hear the sanctioning body has not slowed the Corvette C7.R down with any BoP adjustments for Long Beach. The car will have the same engine and fuel restrictor size and the same amount of ballast on board as it did at the 12 Hours of Sebring. Some of the Corvette’s rivals have been affected by BoP changes, however. The two Porsche 911 RSR entries of Porsche Motorsport North America have received a 10kg weight break, but they will also have two liters less fuel on board. The Ford GT entries of Chip Ganassi Racing were hit the hardest, losing 1 liter of fuel capacity and receiving a reduction in turbo boost. The pace of the Corvette C7.R was decent in Sebring, with the No.3 C7.R team turning in clean and consistent laps throughout the 12-hour race to finish third. The race was won by the No. 911 Porsche 911 RSR, while the No. 66 Ford GT was second. The No. 66 and No. 67 Ford GTs also turned in the two fastest laps of the race in GTLM, a 1:57.478 and 1:57.562, respectively. Corvette Racing could take its 100th IMSA win this weekend. The Chevy squad’s 99th win came at Long Beach last year and the team has always been strong at the southern California street course, so hopes are high that the team can break into the triple-digit realm come Sunday. 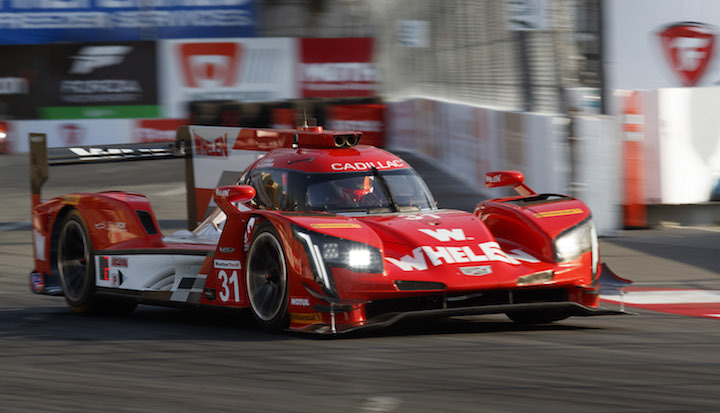 Unlike the Corvette, the Cadillac DPi-V.R, which won the first two races of the 2019 IMSA WeatherTech Sportscar Championship with Wayne Taylor Racing and Action Express Racing, received BoP adjustments for Long Beach. IMSA has slapped it with 10 kg of ballast (making it the heaviest DPi by 25 kg) and taken away 4 liters of fuel capacity. Subscribe to GM Authority (for free) for the latest Corvette news and Corvette Racing news. This type of racing is junk! It’s like they pick who they want to win for the weekend when handing out BOP adjustments.